Long sleeved Heavyweight T-Shirt for added Warmth in the Winter or Protection from the Sun in summer. 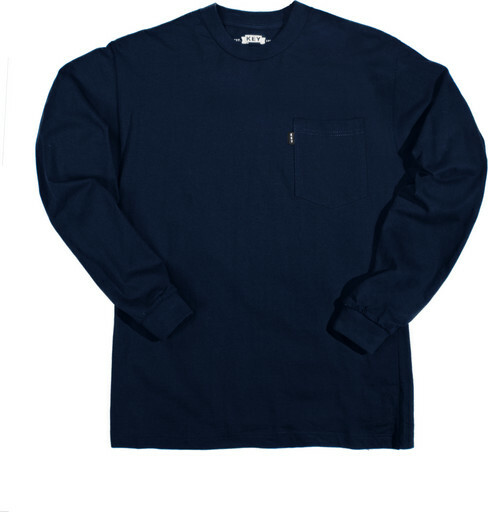 The KEY Heavyweight Long Sleeve Pocket T-Shirt is designed with comfort and hard work in mind. The fabric is sturdy, yet soft to the touch for your comfort. The left chest pocket allows for essentials to be kept right at your fingertips. Additional features, such as taped seams, hemmed sleeves and a heat transfer tag have been added to enhance comfort. This KEY T-Shirt is offered in a variety of colors and pairs nicely with any KEY Dungaree!